​Wishing you health, happiness and abundance! We'd love to hear from you. ​Please include your mailing address and telephone number when requesting information on ordering a signed copy of In Praise of Women. Yes, please add me to Jonathan's notifications list. Check if you would like to be added to Jonathan's mailing list for periodic updates. 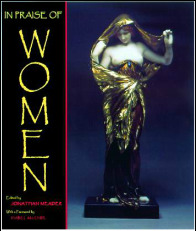 Mailing Address required for ordering copies of In Praise of Women. Provide phone number for all purchase requests. ​Ancient Egyptian Symbols: 50 New Discoveries and the children's book, I Dream I Am, are available through Amazon.com and other online and retail sites. The Wordless Travel Book, a best seller which has sold more than 100,000 copies, is also available on Amazon.com in both paperback and Kindle versions! If you would like Jonathan to inscribe your purchase of In Praise of Women, please provide the wording you would like under Comment,.